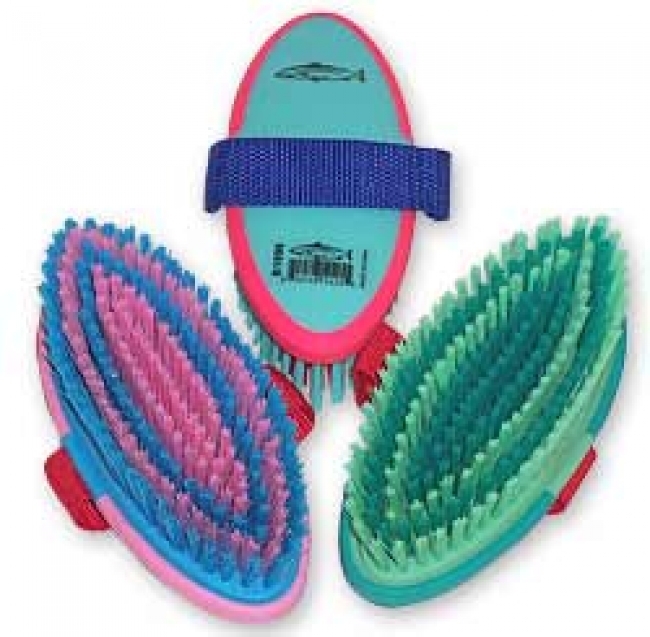 Horse brush with easy grip two tone block and matching strap. Medium soft tough polypropylene tufts. Available in assorted, exciting vibrant color combinations. Strap to comfortably fit wide range of hands. 1 1/4" medium soft bristles.